SMOK XPURE RDA Atomizer with Air Control Valve is a new design RDA Atomizer, which is only for the experienced and professional users who can build their own wicks and coils. SMOK XPURE RDA Atomizer with Airflow Control Valve is a new design rebuildable dripping Atomizer, featuring a new unique adjustable airflow system and a sealed 510/ego connector to avoid possible leakage to the battery contact. Recommanded to experienced and professional users who can build their own wicks and coils. • It comes with wick and coil built already. • Compatible with 510/ego threaded batteries. • There is CE and RoHS mark on package. CE mark is also lasered on the bottom of atomizer. SMOK XPURE RDA Tank Atomizer is one of the the latest and advanced rebuildable dripping atomizer in the market today. The base of this RDA is made out of eco-friendly ceramic. 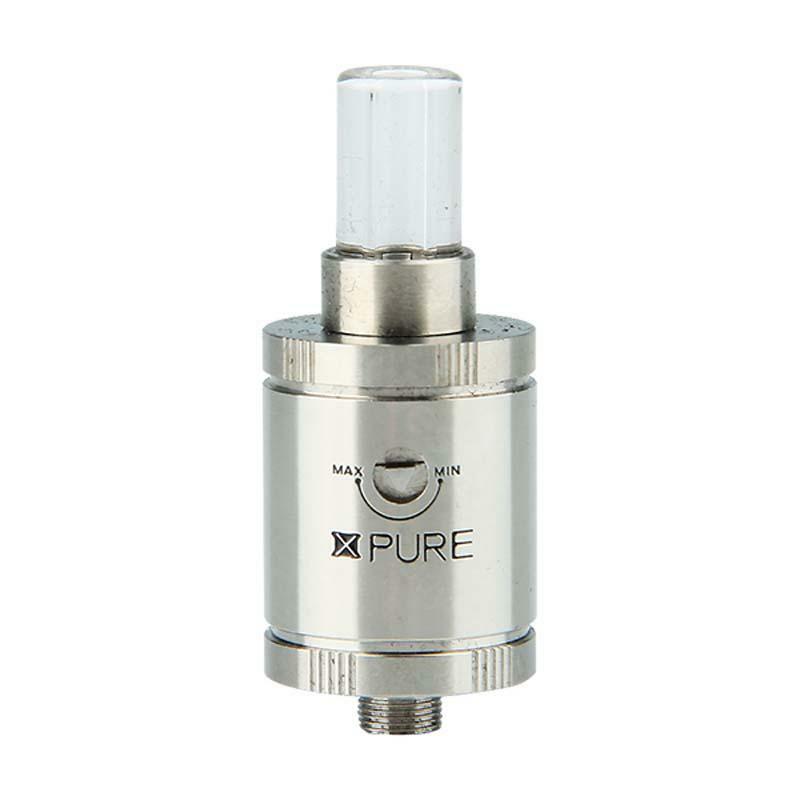 SMOK XPURE RDA Tank Atomizer is an advanced rebuildable dripping atomizer in the market today. For health benefit, the base of this RDA is made out of eco-friendly ceramic. SMOK XPURE RDA Tank Atomizer is one of the latest and advanced rebuildable dripping atomizer in the market today. For health benefit, the base of this RDA is made out of eco-friendly ceramic. SMOK xpure Mega 26650 RDA bra Airflow contrôle - SUPER SUR MON Smowell DPV - 65 Puissance variable 6 - 65W Mini Box Mod 510 Discussion VW Mod double usage 18650 Batteries CA FAIT UN BELLE ENSEMBLES POUR UN THREE BON PRIX MERCI GB. No complaints here. This tank is well made and vapes very well. Actualy, it vapes AWESOME. The cheaper version of the Aerotank Mega but only in materials used. I use this on an eLeaf iStick and it fits the bill great. A little overhang there, but that isn't really an issue for me at all. SMOK xpure Mega 26650 RDA soutien Airflow contrôle - SUPER SUR MON Smowell DPV - 65 Puissance variable 6 - 65W Mini Box Mod 510 Discussion VW Mod double usage 18650 Batteries CA FAIT UN BELLE ENSEMBLES POUR UN TRES BON PRIX MERCI GB . Suggestion AUCUN . SMOK XPURE RDA Tank Atomizer is one of the latest rebuildable dripping atomizer in the market today. For health benefit, the base of this RDA is made out of eco-friendly ceramic. The smok tank has nice quality. SMOK XPURE RDA Tank Atomizer is one of the most advanced rebuildable dripping atomizer in the market today. For health benefit, the base of this RDA is made out of eco-friendly ceramic. 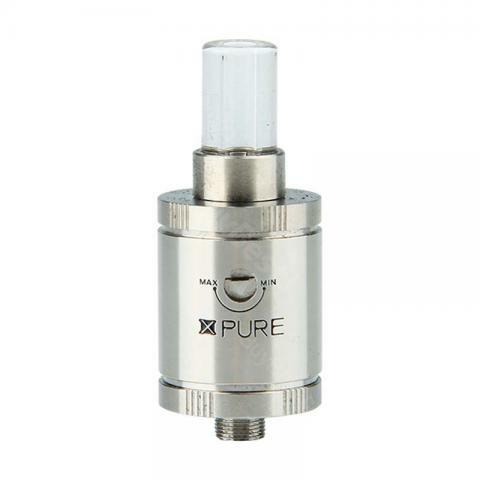 SMOK XPURE RDA Tank Atomizer is an atomizer with a rebuild able dripping atomizer. It made from metal and comes with a gold plated 510 connection. It has a good air flow control function. This is very delicate to handle, so a professional help may be sourced. All parts can be easily removed and replaced.